Flutist Whitney Kelley has worked for the Suzuki Association of the Americas for four years as administrator for chapters and institutes. 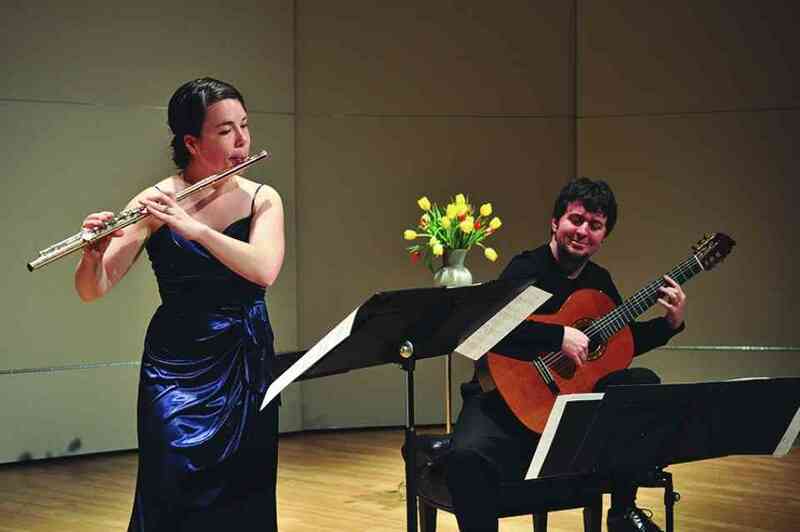 In spring 2013, she graduated from the University of Colorado with her DMA in flute performance and pedagogy. We spoke recently about her research, her upbringing in the Suzuki Flute Method, and her plans going forward. Tell me about your background—how you got started in the Suzuki method. My grandparents housed a Finnish exchange student who was studying Suzuki flute with Rebecca Paluzzi at East Tennessee State University, and I fell in love with both her and the instrument during her time in Tennessee. I was three, almost four, when I told my parents I wanted to learn how to play the flute, too. They thought it must be a phase and were reluctant to agree right away, but when I continued to beg them through the next few months, they decided to give me a flute as a Christmas present. That January, at the age of four, I began Suzuki flute lessons with Rebecca Paluzzi by spitting rice on the steps of the ETSU Music Department, and I continued to study with her for thirteen years before leaving for college. It was a few years into my college studies that I decided to begin Suzuki training, a result of my growing interest and questions surrounding teaching. I’ve completed three units of training now, and have my own little Suzuki flute studio, which is rapidly growing. 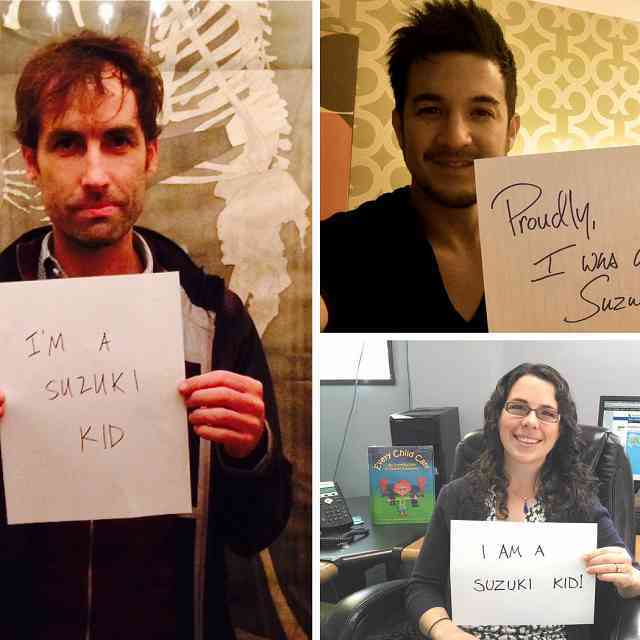 How did you feel about being a Suzuki student when you were growing up? Growing up as a Suzuki student was certainly a rewarding experience. Although there were not many other Suzuki flute students in my area (and only a couple my age), I had a sense of pride about being labeled a “Suzuki student” by my friends and fellow musicians. 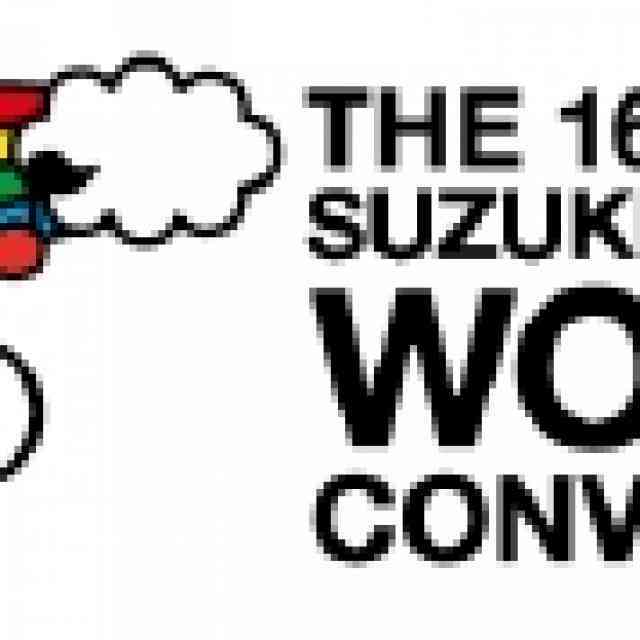 This gratification came from several different aspects of Suzuki. First, and probably most simply, as a young kid, I was able to play at a level that consistently impressed both adults and my non-Suzuki friends. Because of this, school talent shows and performances at my church were exciting to me, rather than nerve-racking. Similarly, the early exposure to performances as a part of group classes also helped me feel more comfortable in many performance settings later in life, and because of the many outreach performances that our studio would give, they provided me with a perspective of performing as a way to give music to others. But beyond the enjoyment of showing others that a young child can play the flute, and perhaps play it well, I also had a sense of pride regarding the relationships that I was able to build through my Suzuki studio and summer institutes. 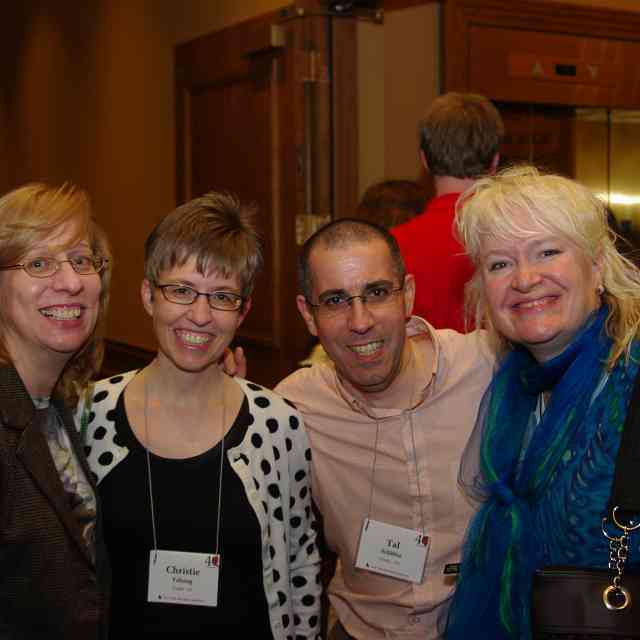 One of these unique experiences was meeting and building relationships with other Suzuki flutists across the country and even the world. I became friends with students from all over South America, Australia, and Europe, and these relationships made me excited to be involved in the widespread Suzuki flute movement. Additionally, these institute friendships challenged and inspired me to play at even higher levels—they provided a healthy competition that was able to spur me on throughout the year. My local musician friends were rarely, if ever, given the same kind of motivator on a regular basis. Finally, I felt an appreciation about being a Suzuki student because my musical abilities did not stop with the flute. I was able to read and write music early on, which enabled me to place in state-wide music composition competitions as early as second grade, and I could pick up melodies I heard on recordings or the radio and play them on my flute. I also learned to play in many different styles and genres, including Celtic, Jazz, and traditional Japanese, in addition to the Suzuki repertoire. And I had an extensive repertoire at my fingertips from memorizing the Suzuki pieces. I felt that the Suzuki method (and my Suzuki teacher) taught me how to use music as an expressive tool, and even though I did not yet have the technical skills of a professional flutist, I still had the freedom to explore both music and expression with a much deeper ability than many of my friends. When you were young, before college, did you always know that you wanted to go into performing and teaching? Performing, yes, teaching, no. As a teenager, I was very adamant that I didn’t want to become a teacher as the basis of my career—I wanted to be a performer. It’s interesting how my heart and vision has changed, but at that time, I wanted to be a performer. In pursuit of this, I competed in national and international competitions, traveled to study with various teachers in master classes and festivals, and took part in many events inside and outside of the SAA. I found that I was not only a successful flutist, but I really enjoyed playing and performing. I was fairly certain by end of middle school that I wanted to pursue a career in music, and by high school, there was not a doubt in my mind. The ensemble opportunities that opened up to me in high school really laid the foundation for my love of chamber music and collaborations with other musicians, and I knew that music was the career path I wanted to take. During the “self-discovery” years of college, I found I also have a strong desire for serving other people in a way that even performing didn’t satisfy. I didn’t originally think this ambition would be met in teaching, but when I started teaching a few students out of necessity, for extra income, I found that I loved it. Time in lessons flew by, and I really enjoyed being able to invest in other people’s lives. After I took Suzuki training and began my first Suzuki students, I found that I wasn’t just investing in the student—I was also investing in the parent and the whole family. It was very rewarding to come alongside the parents to help foster growth within the student and to be involved in their family in an integral way. Since then, I’ve found that I almost have a bigger heart for teaching than I do even for the music itself. 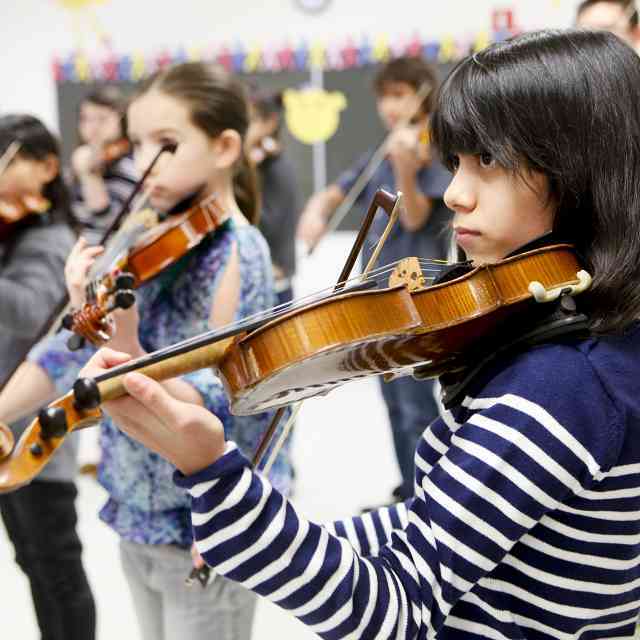 What have you learned about the Suzuki method as a student, and now as a teacher? I found that the Suzuki method is not just a method; it’s also a community that is living and breathing. Teachers, students, and parents are challenging, encouraging, and inspiring one another, and as a young teacher, this was a huge realization for me. As a kid, community was certainly influential, but as a teacher, I see even more how impactful the Suzuki community really is. I also now see the commitment of Suzuki teachers, who reach beyond the commitment of musical learning to a commitment on a relational level for a long period of time. The relationship I have with my former Suzuki teacher is very deep—we still talk, she still mentors me through issues I have with my teaching, and we still just keep up with one another through the ups and downs of life. Additionally, I have discovered the flexibility and adaptability of the method. Before taking Suzuki training, I was fearful that I was going to be thrown into a box, where I would be expected to teach in a prescribed way. Instead of being restricted, I found that, as with many things that have structure, it’s within that structure that I found my greatest freedom. While the Suzuki method does provide a lot of structure, it’s a very positive and effective structure, and within it, I have an enormous amount of freedom to be my own individual self and to teach to the individual needs of the student. Having that kind of freedom was something that I didn’t expect, and is an aspect of the method that has been very satisfying. This myth of rigidity, that the Suzuki method is almost a doctrine, is something that’s commonly misunderstood, but once people start teaching, they understand that it’s not. How would you explain this to someone who is outside of the community? I think one way I would explain it is that there are certain elements in which we are designed to work well. For example, a fish won’t function very well outside of water, but in water, it has the potential to thrive. When we put ourselves in optimal circumstances, such as a group class community, parental involvement, having the support of the family, and a nurturing and supportive relationship with a teacher—when we have these elements that are provided within the Suzuki method, they actually allow the student to thrive, and it makes room for the individual styles and techniques of the teacher with each student to be used effectively. Think of music itself: No two pieces are the same, and yet they all function within the same musical boundaries. This is not because music is restrictive, but because these musical boundaries are creating an environment that allows for personal expression. It is the same way with the Suzuki method: the elements of structure that make up the Suzuki approach not only makes room for student and teacher’s own individuality, but it enables these individual styles to be used more powerfully. Tell me about your graduate research. In general, all of my research has been centered on the psychology of music learning and particularly how students can learn more effectively, efficiently, and deeply, to be better prepared for the world ahead of them. I started out my research by exploring mental practicing, which is the training of the brain to represent a musical goal and then guide the physical body in the best and most efficient way possible in order to achieve that goal. My Suzuki experiences helped initiate my interest in this concept (for example, through creating aural representations of a piece by listening to the Suzuki CDs), and when I developed injuries in college from over practicing, I knew I needed to explore ways to practice more efficiently to physically protect myself. I found that when I started using mental practice exercises away from the instrument, I actually improved far more than when I was practicing every day. This led me to ask, what does research in other fields say about the mental side of playing an instrument, and what is an effective way to actually teach these exercises to my students? The answers to these questions became the bulk of my master’s thesis work. From there, my research began to shift in part because I was taking on more students and wanting to explore new ideas centered on teaching. My students were all distinct individuals, and I found that I didn’t always understand their learning preferences right away. I researched about how, from day one, we can understand a student—how they learn and how we can reach them most effectively. This subject of discovering learning styles became the material for my pedagogy thesis, which was a required portion of my doctorate. If you study with a teacher over several years, that teacher begins to understand how you learn best, but to be able to understand that from the very beginning lesson with the child makes a big difference in the child’s initial progress and motivation to continue in lessons. In addition, learning styles can change over time and in different circumstances. Because of this, I determined to create a simple way for teachers to evaluate and check in on their student’s learning preferences. I made up a fun activity using origami that has very specific instructions requiring the student to rely on various learning skills. Their success (or frustration) then helps provide suggestions for how the child would like to learn. It’s a fun activity for the kid, and at the same time, it’s very informative for the teacher. I chose to conduct my dissertation research around resilience training, which was something that had been on my mind for years. Resilience is the ability for a person to take a challenging (and often negative) circumstance and use it to fuel their success and growth. While resilience is something that often naturally occurs in difficult situations, the intentional development of this skill has largely unexplored and underutilized. We all meet challenges—every kid, every adult—and the way that we deal with them determines whether we will grow through them or give up or lose ground. A lot of my research really dived into what builds resilience and how teachers can actively use this knowledge. I wanted to see how that was being done in the music field, in particular, and then I compared these elements with what other disciplines provide in their training programs. I created a training program for undergraduate and graduate musicians, but certainly this research is applicable to everyone—young musicians and old. I think using music as a venue to build life skills is something that Suzuki consistently talked about, and it’s something that I’m really interested in. I want to build character and strengthen students’ abilities to be individuals who can have a strong voice in the world. These skills are not only for when they come across musical problems; they also apply when dealing with other challenges in life. How has your research changed you as a performer and as a teacher? My research really developed out of a desire to be a better teacher and performer, and it has definitely shaped who I am today. From a teacher perspective, it has deepened my understanding of many concepts that have been presented to me through Suzuki. For example, I questioned “what is nurturing?” Suzuki teachers emphasize “creating a nurturing environment,” but what is nurturing? What elements are really factors in this kind of environment, and what can I, as the teacher, control in creating this nurturing environment? My research gave clarity to my formerly nebulous notion of nurturing, and it was easier for me to be able to create this kind of environment for my students. I could list many other examples, but overall, my research has helped me to understand the concepts of great teaching at a much deeper and applicable level. I’ve also become more attuned to individual learning preferences, my teaching style, and how I can manipulate what would be my preferences to better accommodate the students. Unfortunately many times we, as teachers, teach in a way that we would want to be taught, instead of teaching to the individual student’s needs. I have become more attuned to that in my own teaching and with each of my students. I am not perfect, certainly, but I am growing in this area as a result of my research. As a performer, it has really helped me be more efficient with my time and intentionality, knowing exactly what I want to be doing and how to get there. I had some pretty major obstacles and setbacks in my own flute-playing, and much of my research helped me overcome them. Testing strategies that resulted from my research on myself not only helped me overcome these hurdles as a performer, but it also refined how I might be able to teach them to others. You’ve just reached a huge personal educational milestone. What does the principle of life-long learning mean to you? I think it means more than being the best performer or teacher I can be. It means I am aware of and changing with the environment around me, and I am striving to understand the people around me on a deeper level. With this awareness, I can learn and grow with the culture, providing input to issues that I may not have ever encountered myself. This applies to my life as both a teacher and performer. How do performers reach today’s audience? How do teachers reach a new generation? How can we enable music to be as powerful an instrument as it has been in the past? This is what life-long learning means to me right now. Can you talk about your position as a Suzuki teacher in working with parents as they navigate a culture they are new to, as well? I have had a unique experience in the last year with one of my students as she was diagnosed with a mental disorder. I saw her mother go through a grieving stage, where she was in shock and devastated by the news. And then I walked with them through the stage when she had teachers at school referring her to outside help. Both parents, though I interacted more with the mother, really had a tough time feeling that their child was undervalued because of her lack of progress, and were afraid that her teachers would simply give up on her. Although we went over the same piece for weeks and weeks, I felt that my role, as a Suzuki teacher, was to support my student and her family—to be able to listen in every lesson and to believe in her ability to learn and become a beautiful individual despite her disability and seeming lack of physical progress. Will this student ever be a fantastic musician? Maybe not—but every child can learn, and she is learning, enjoying, and growing into a stronger and more resilient individual, and that’s what is important. You’ve had a lot going on in the past several years. How have you balanced the very different areas of your life? It’s actually very rewarding to have so many facets of life. It keeps life interesting when there’s always something going on. But as Suzuki teachers know, when wearing many hats, you have to be careful not to get burned out and not to take on too much. To avoid this, I’ve really compartmentalized my life—I’ve designated a certain period of time where I’m devoted to research, planning lessons and teaching, practicing or rehearsing, etc., and I try to commit myself fully to those areas during that time period. When that time is over, I have to be able drop my work and move on, which, as a perfectionist, has been difficult for me to do. To help myself effectively do this, I carry around a notebook, and if I have an idea for a student while I’m practicing, for example, I jot it down, and continue practicing. I can go back to that thought when I have time to plan lessons. I’m constantly re-evaluating my priorities to be sure that I am allocating my time well. But, above all, I truly believe that my Christian faith strengthens me, helps me to prioritize, and enables me to navigate through all of the areas of my life. Another crucial element is that I have to schedule in time to live and to be a part of the community as well—to be with friends, to engage in activities outside of music, things that will help mend the wear and tear of busyness. I think having this balance of personal and work life is important. Setting aside time to reflect and write down my goals as a teacher and as a performer also helps me know when to say “no” to something. It’s hard to say no, especially as a young professional who’s trying to build a career. But to have something in writing that says, “this is what I’m trying to move towards” makes it easier to draw boundaries. And, finally, I have to have a lot of grace for my many mistakes! Thankfully, those around me have been extremely understanding and gracious when I make mistakes or am not performing at my best. Sometimes my career feels like a circus act, but it is very gratifying in the end. What is next for you? How does your vision correlate with Dr. Suzuki’s vision? I think my vision correlates to Dr. Suzuki’s in many ways. Dr. Suzuki set out to make beautiful individuals, to build character and to make the world a better place through music. My goals are very similar. I want to shape each of my students to be finer individuals, full of character and expressive ability with an understanding of their own strengths, and to give them the gift of music to share with others. 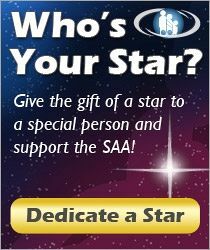 More specifically, I really have a passion to reach out to disadvantaged children and those who have experienced abuse or other traumatic experiences. My hope is to use music as something that is pure, beautiful, and expressive that can help them through their many challenges, present, past, and future. I have a passion to use Suzuki as a way to build relationships with these students, give them the tools to express their voice, and help them to move past the dark times in their lives. That’s one aspect. Another aspect is that I have discovered in my graduate studies that I have a passion for teaching people how to teach. I’ve given several talks and lectures and written articles to help direct teachers in how to teach more effectively through providing and challenging them with skills, tools, and various teaching perspectives. I would love to eventually teach at the college level and work with young teachers before they go out into their careers, which is in part why I decided to pursue a doctorate. Just as with Dr. Suzuki’s vision, I see teachers, students, and communities transformed by the power of music, relationship, and the nurturing of beautiful, unique, and involved individuals. Flutist Whitney Kelley is praised for her innovative performances and pedagogical methods which have inspired audiences across the country. Acclaimed for her “considerable technique” by the Winston-Salem Journal, she has appeared as soloist in numerous orchestral and recital settings, including guest appearances with Hollywood film composer Dave Grusin, jazz flutist Nestor Torres, and performances with orchestras in the Ravinia Summer Music Festival, Texas Music Festival, Denver Pops Orchestra, Jefferson Symphony, and Longmont Symphony Orchestra. Whitney additionally actively performs as a member of the Airde Ensemble, a woodwind sextet based in Boulder, Colorado. In addition to her solo and chamber pursuits, Whitney is an innovative pedagogue, presenting her research, teaching philosophies, and musical perspectives to music educators and performers through lectures, masterclasses, online videos, and publications in the National Flute Association Pedagogy Anthology, Vol. 2, American Suzuki Journal, and Colorado Flutist. While maintaining thriving Suzuki studios in Boulder and Golden, Colorado, Whitney additionally actively serves as a clinician, adjudicator, and coaching staff for music programs across the country. As an Arts Administrator, Whitney staffs summer institutes, chapter affiliates, and training registration for the SAA at their headquarters in Boulder and currently serves as president of the Colorado Flute Association. She recently received her DMA in Flute Performance and Pedagogy from the University of Colorado with Christina Jennings. Whitney currently lives outside of Denver with her husband, Shawn, and their energetic puppy, Nellie. She enjoys reading, photography, and hiking in the beautiful Rocky Mountains. For more information, visit www.whitneykelley.com.